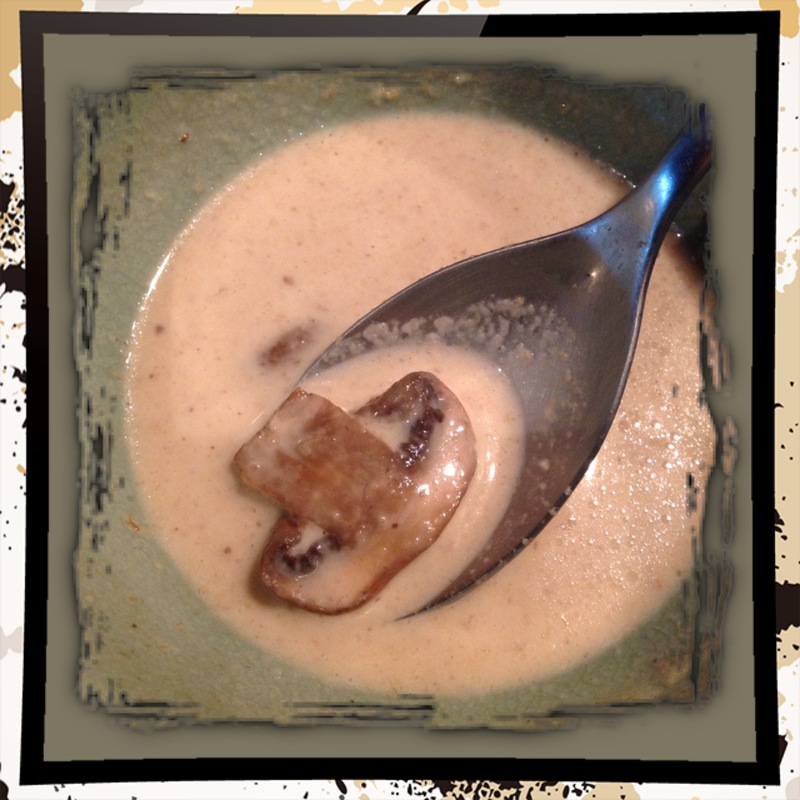 Mushroom soup, a wonderful winter dish! It’s winter here. And I love eating soup during this season. It somehow not only gives you warmth, but also hits the spot in terms of hunger filling! And each week, I have been trying to make a different soup, with my frozen bulk homemade beef and chicken stock. Last week, it was the mushrooms turn. In a saucepan, lightly fry the garlic in the oil or butter. Add the cut up mushrooms to the mix and fry until all the liquid has been absorbed into the mushrooms (the mushrooms will initially ‘sweat’ and lose their moisture, but continue letting it fry on a gentle heat, until it’s reabsorbed/reduced). In a pot heat up the stock, add the mushrooms from above, cream and cream cheese, salt & pepper. Keep on a gentle heat, until the cream cheese is ‘melted’ into the mixture. Then puree part of or all of the mixture in a food processor/ liquidiser/ hand blender. I pureed 1/2, since I still wanted to have chunks of mushrooms, but the preference is up to you! This entry was posted in lchf, LCHF recipes, mains and tagged atkins soup, banting soup, lchf soup, mushroom soup, mushrooms by angelb38. Bookmark the permalink.